“I love your activities but they’re just too messy for me.” I get this message a lot. And I get it. 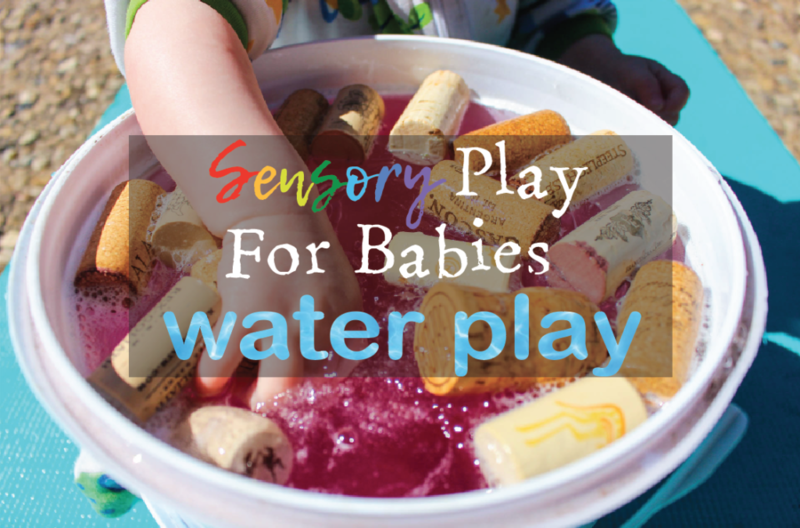 Sensory play can be messy. 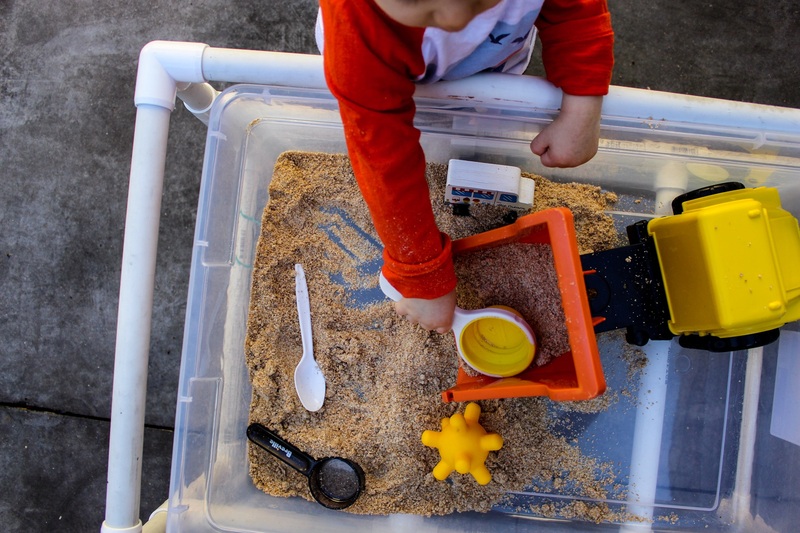 But that’s part of how kiddos use their senses to explore. 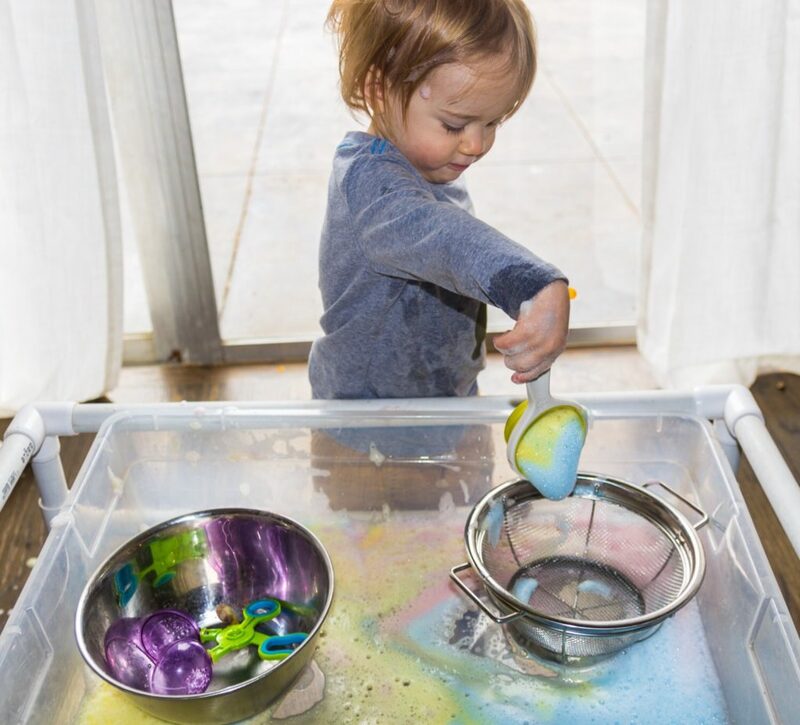 So, for all my clean mamas out there, this activity is for you! 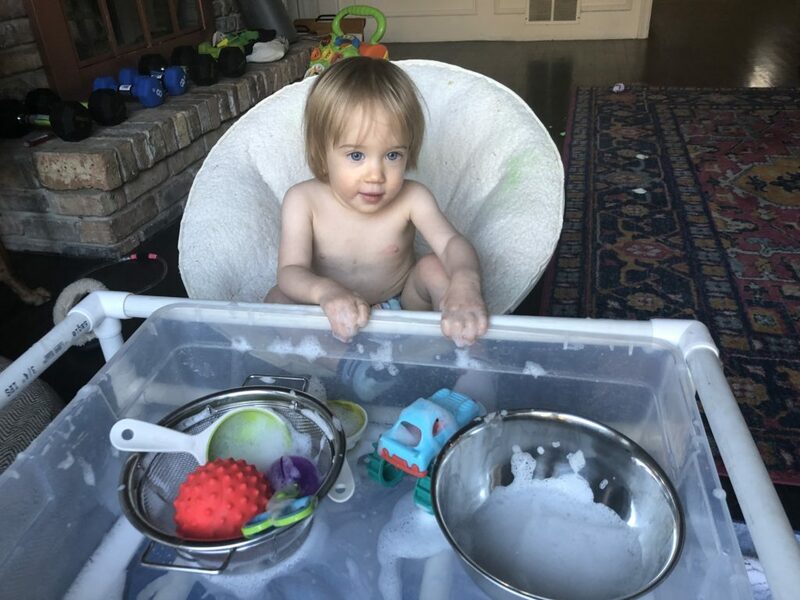 The best part of a bath is the bubbles anyways, so for this activity, we use those nice foamy bubbles for some good clean sensory play. 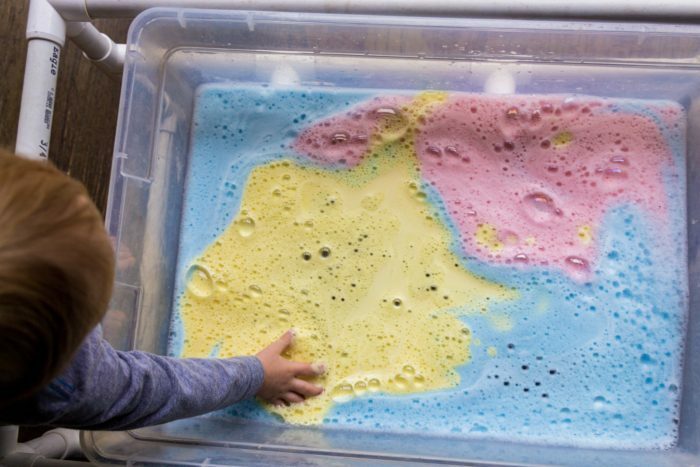 But for this sensory activity, you don’t just want a few bubbles, you want a lot of extra foamy sudsy bubbles. How do you go extra foamy bubbles? Well, you could whisk really hard and fast…or…you can throw it in a blender and whip it up real quick, or even use a handheld electric mixer. Trust me. You don’t want to skip this step. Play with it as is. 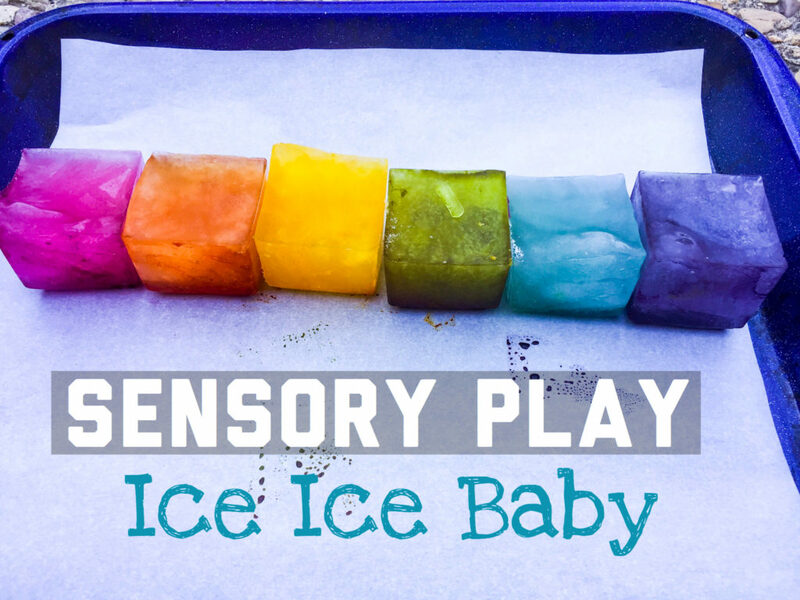 Or take it to the next level by adding a few drops of food coloring. You can put some plastic animals in there and let them “give the animals a bath.” This is a good way to get some toys cleaned during flu season. 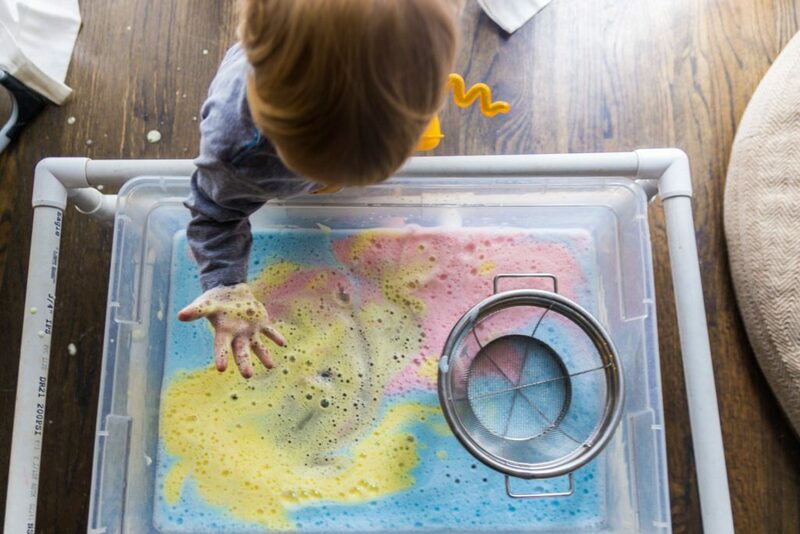 The options are endless with this good clean sensory play with foamy bubbles. 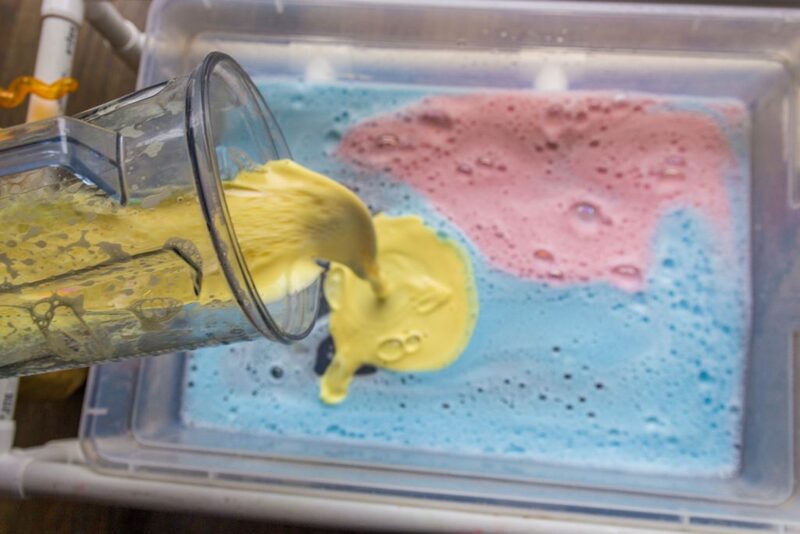 Add your (maybe 1/2 cup) water and a healthy squirt of soap and a few drops of food coloring into your blender and whip it up for 10-15 seconds or until really foamy. Make it in batches. You don’t want to put too much water and soap otherwise it will come out the top of your blender. We haven’t had a problem with it but I know others have. You could always use some Crayola washable kids tempura paints and put just enough in there to color it.